Booking your first airport transfer can be a confusing experience. An airport transfer company should make your experience as smooth and stress-free as possible. Following are some of the important things you need to check for before booking airport transfers Liverpool with any company in order to make sure you have a safe and comfortable journey. A quick Google search should reveal the highest rated companies. For example, if you’re travelling from Liverpool you can look for “airport transfers Liverpool”, and read the customer reviews to find a company with a good reputation. You should also check that all their drivers have had the necessary CRB background checks and that they are regularly assessed by VOSA. 2. Are their vehicles fully insured? You need to make sure that the company’s vehicles are all fully insured before you book with them. As a passenger, you will only be protected if the vehicle you are in is fully insured if any accident happens. 3. Are they offering you the cheapest fares? When you are booking your airport transfer you don’t want to be breaking the bank to get from A to B. You should take your time to find which company has the cheapest fare rates. However, remember that you should not compromise your safety and comfort for a lower price so make sure you still use a reputable, reliable and fully insured company when booking your airport transfers. 4. Do they offer a vehicle that suits your needs? Whether you’re travelling alone or with a group of people, you need to make sure the company has vehicles that suit the needs of you and your party. Have a look at their fleet and see if they have the comfort level you’re looking for. If you have more than 16 people in your group, you may have to travel with two vehicles. 5. Do they offer flight tracking? If you want to be picked up from the airport when you arrive, it’s important that your driver knows where your plane is every step of the journey. Planes are sometimes early or late, so you should go for a company which tracks flights in real time to anticipate the exact time of your arrival. A lot of airport transfer companies now offer flight tracking but you should still ask to make sure. 6. Can they find the best route? Getting stuck in traffic is the last thing you need when you’re trying to catch a flight. A good airport transfer company should have modern vehicles with well functioning navigation so that the drivers can quickly find alternative routes. 7. Do they transfer to the airport you need? This is one of the most important things to consider for your airport transfer. 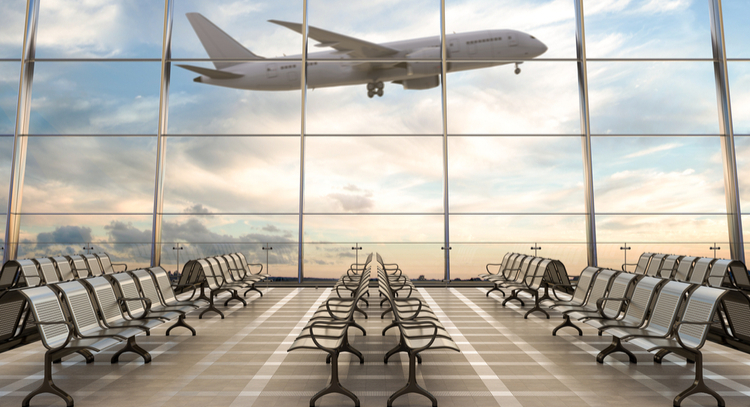 Make sure that the company you would like to book offers transportation to the airport you need to get to. Not every company would go to every single airport in the UK. It’s always a good idea to call and confirm rather than just book online. Sometimes companies use automated booking software and might not realise you’ve booked a transfer to an airport they don’t go to until the last moment.